All business owners and operators have a responsibility to keep their workers safe. Make sure your employees have access to functional fire protection equipment during an emergency with our fire safety services Wellington team. Our experienced technicians are fully qualified and conduct each test according to the relevant New Zealand safety standard. Contact us now for a free quote and access to a wide range of safety inspection services. Every member of our fire safety services Wellington team is supported by a network of professionals. We make sure our technicians have the best equipment and are up to date with workplace safety regulations. Choose the team with years of expertise for a flexible, friendly inspection at your place of business. One of our most popular services is fire extinguisher inspection. Nearly every workplace needs to have a portable fire extinguisher that is functional and easy to access during an emergency. There are a range of different fire extinguishers available for your workplace, and our technicians are trained to deal with each type. Contact our fire safety services Wellington team today for refills, pressure tests, visual inspection, and maintenance. According to the NZS 4503:2005 standard for hand operated fire-fighting equipment, all types of fire extinguishers need to be tested at least once every 12 months. A 6 monthly interval is recommended. If you have recently used your workplace fire extinguisher, get in touch with us immediately. We can refill it and check that it will still be effective in the future. Every time we test a fire extinguisher, we will administer a tag (or update an existing tag). This helps you prove compliance and acts as an easy visual confirmation that your extinguisher is safe to use. You’ll also be able to monitor when your next test is due. You don’t need to worry about keeping track of your safety testing requirements any more. After we complete each inspection, you will receive a detailed test report. This report will have information about the tests we conducted, the results, and a recommended date for re-testing. We’ll put your details in your system so that when your re-test date is approaching, you’ll get a friendly reminder. All you have to do is choose a time that suits you best and we’ll take care of the rest. We’ll give you a copy of your report and keep one on file so that you can always access proof of compliance when you need it. 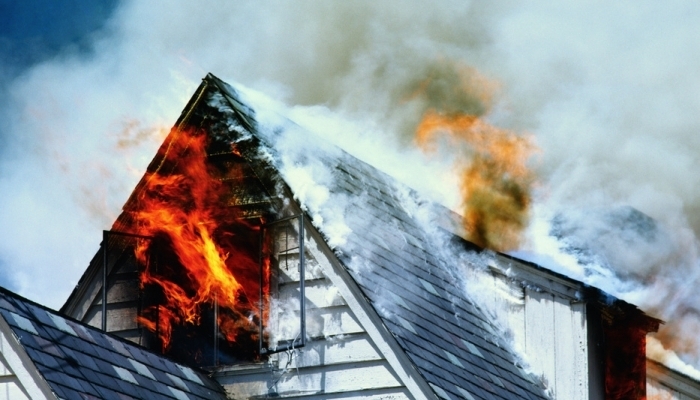 Safety maintenance has never been easier than with our fire safety services Wellington team. Choose Jim’s Fire Safety today for all of your safety inspection needs. Make an investment in safety to protect your property and your employees at the same time. With the use of functional fire protection equipment, most small fires can be contained before they get out of control. This means that you won’t have to pay for huge damages and your staff are less likely to get hurt. Call us now for a free quote. Your safety is our business.